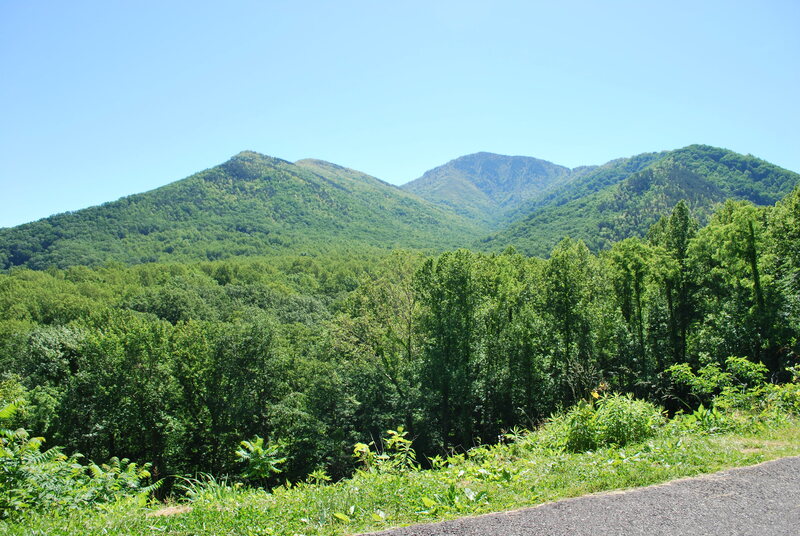 Did I Tell You About Our Trip to Gatlinburg? What I didn’t tell you Monday in my post was that Jim and I celebrated our eleventh anniversary last week while in Gatlinburg! If anyone ever asks you if eHarmony works, we are proof positive it does! He is definitely a blessing to me! If you don’t follow me on Facebook, I thought I’d share a few pictures from our trip. I joked last week that this picture shows one of the High Points of our trip! 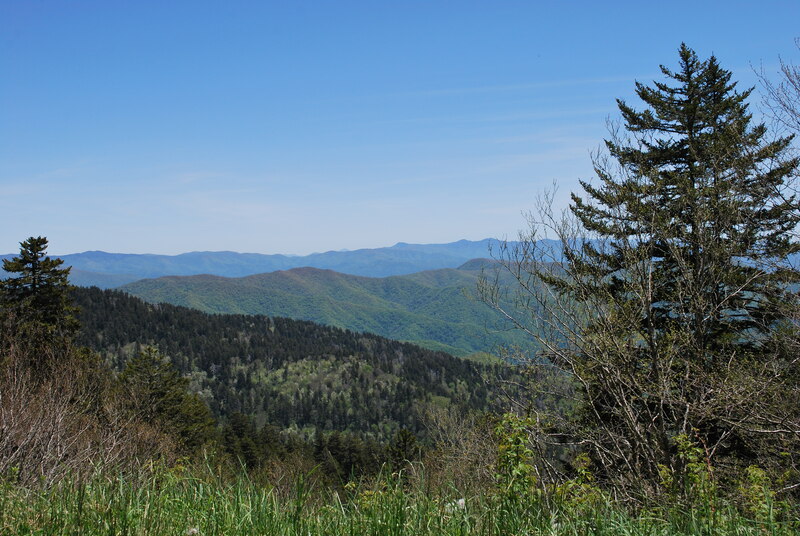 We were actually at Clingman’s Dome which is 6,643 feet high–the highest point in the Great Smoky Mountains National Park. The tour books said it was an easy hike…1 mile. What it didn’t say was that by easy they mean the trail is paved. It was basically 1/2 mile straight up the side of a mountain! Luckily, they had benches spaced out every so often…maybe that made it easy too! Whatever the case, I was proud to have made it to the top! I’ve been going to Gatlinburg for over 30 years and always wished I could see a bear. I’ve even been up at four in the morning and driven to Cades Cove to see one to no avail. 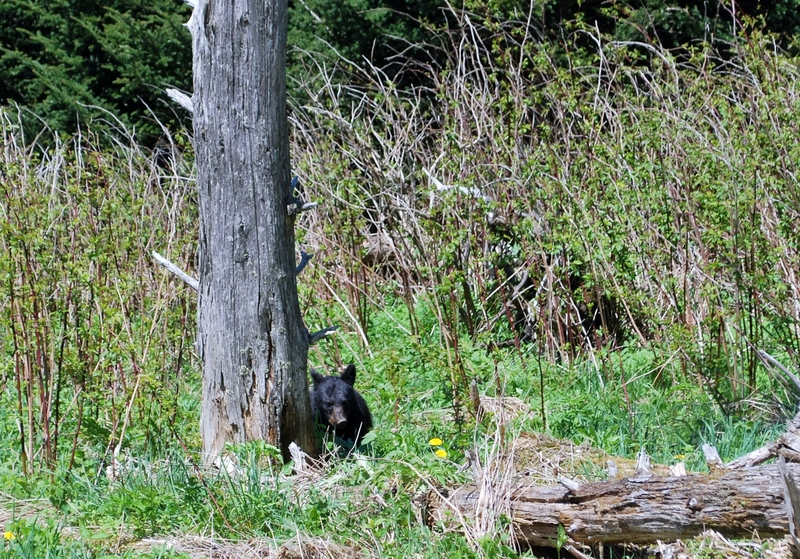 However, this year on our anniversary day, May 25, 2013 we saw a bear! 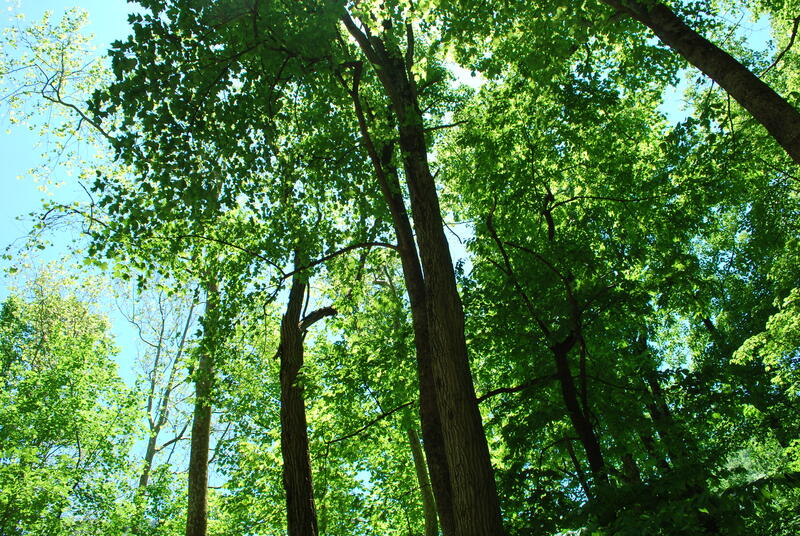 It was actually just off the path on the way to the top of our hike. We didn’t stick around to watch him long as he was a baby. I know enough to know that where there is a baby bear, there is a mama bear. Since there were so many tourists watching, I worried if one were to do something stupid, we could all be put in harm’s way. Seeing it and getting a photo was good enough for me! I praise God that I can finally check that one off my bucket list! Whew…30 years…but I gotter done! No matter what time of year we go, the mountains have such a majestic beauty to them! Even though the ride literally goes round and round the mountain, it is beautiful! 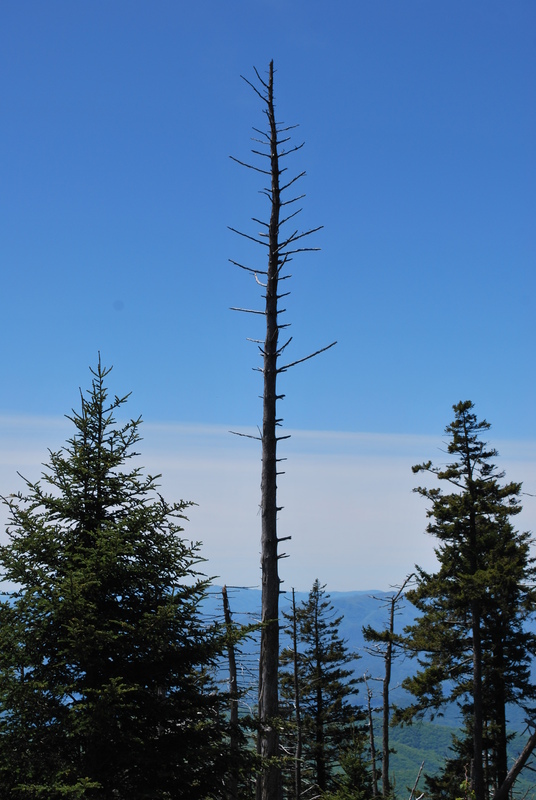 I am not sure why this dead tree fascinated me, but it did! I can’t get enough…so beautiful! I still can’t believe it! I saw a bear! 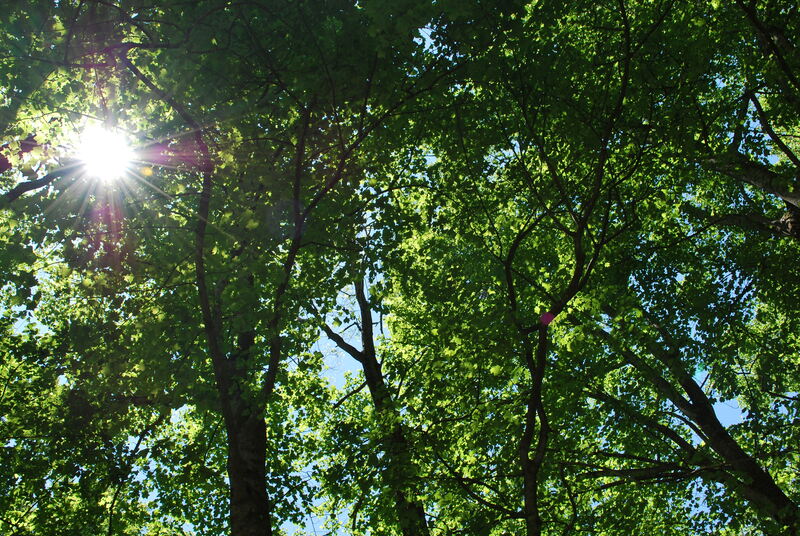 May God’s light shine upon you this week. Previous Unplugged Next What Is Bugging You This Week? Lori, what a wonderful trip that you and Jim had. 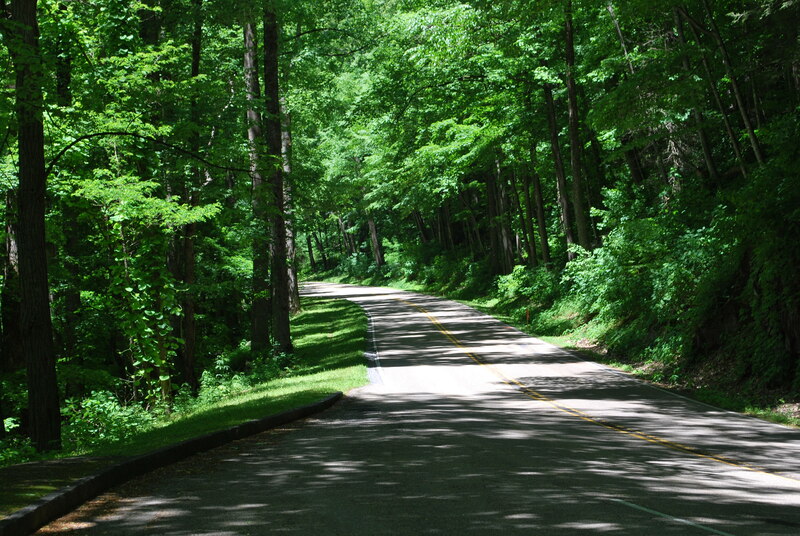 We loved Townsend for the ” quiet” side of the Smokies. 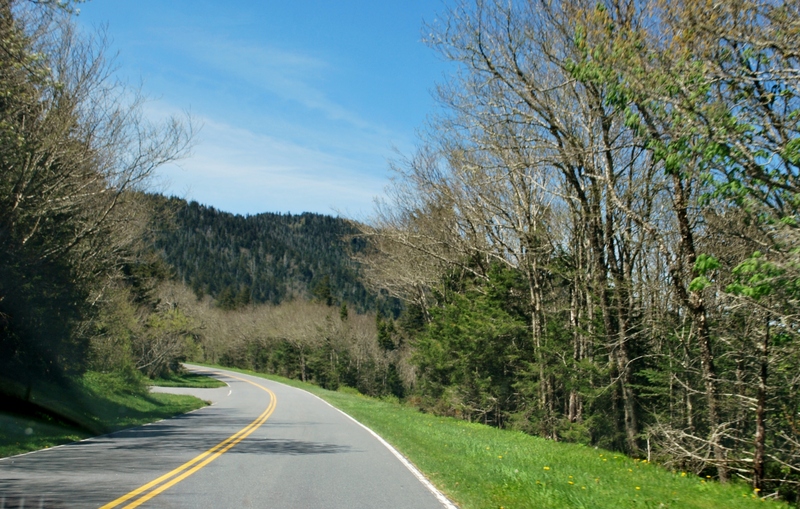 Cades Cove was a ‘must see’ location each trip each time we vacationed there. The streams we would ride along and sometimes picnic by just soothed my soul. We haven’t travelled as a family since ’97 when we celebrated our 25th wedding anniversary. Karen was up all night that trip and we wondered why we were paying money to be so tired, so we just take day rides and sleep in our own beds now. The ride to Hillsboro reminds me a little of riding in the Smokies. This is not a poor Mary Lou and family post. We had many wonderful trips. Karen has been to Washington, D.C., Niagra Falls, New Orleans, Myrtle Beach, Florida many times, Michigan, New England, state parks and some locations that I have probably forgotten. I’m glad that we took those trips and we have the wonderful memories imprinted within our hearts. Have a blessed day! It sounds like you’ve been able to have fun despite your challenges, Mary Lou. Townsend is beautiful. 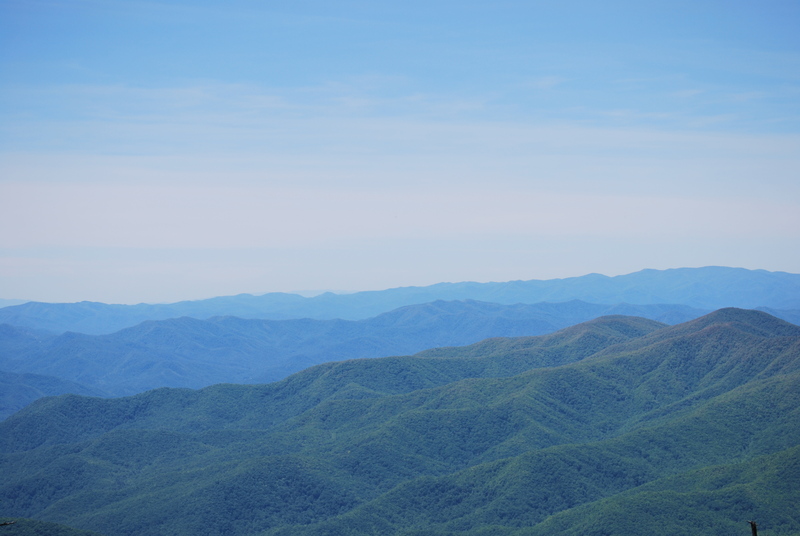 There is something spiritual about being in the Smokies. Thanks for reading and sharing! well I do follow you on facebook every chance I get but never saw these beautiful pics! guess following means visit your wall –wish I had time to visit over 700 walls so I miss a lot if FB chooses not to show me something! so glad you saw a bear! oops! baby Wells is crying! bye! So this post was for you, Glenda, so you don’t have to go to my wall! Actually, there were more photos on my blog anyway. Thanks for reading! We were there the week before! We weren’t able to do any hiking with the two young girls being a little sick but had a blast! So beautiful out there! My 4 yr old really wanted to see a bear! I’ll have to show her your photo! I love it there. There is always something new and interesting to do. After 30 years of going down there, I figured we needed to try a new trail. It was very exciting to see a bear. However, I would have been nervous to have little ones with me. You never know what the bears might do! Thanks for reading! The three of us went to Gatlinburg back in the 1980’s. A new friend and her husband and sister and brother-in-law had been there a few weeks earlier. 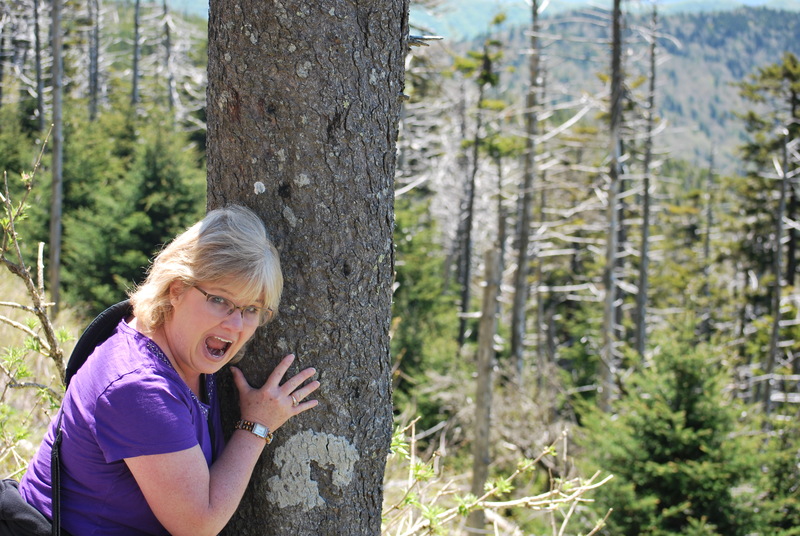 She told me about Clingman’s Dome. I thought she had made it to the top. I gave up about half-way up. When we got home, I went to see her at their business and told her that I couldn’t understand how she made it to the top. She said she didn’t. You must be in very good physical shape to have made it to the top. It was definitely not an “easy” hike. We took our time and took breaks on the benches. I enjoyed the challenge! I’m not sure the view changed a whole lot if you got to the top. It was still beautiful. Thanks for reading! Lori, The Lord really blessed you! 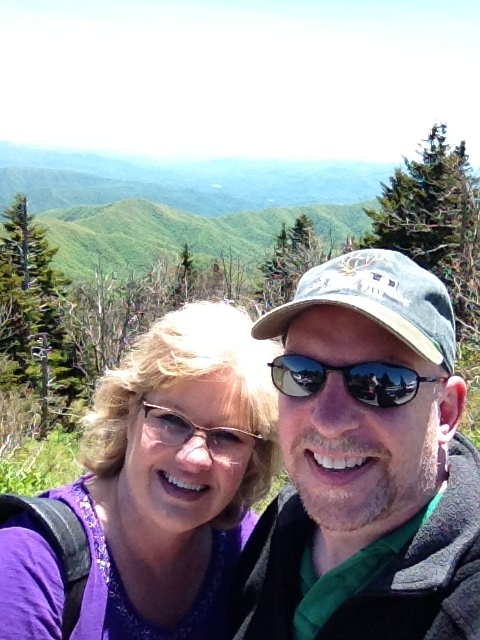 Don and I have been up Clingman’s Dome about 3 or 4 times, and it was always “socked – in” with clouds. What a beautiful view you had to reward your efforts. Wow, I didn’t know that! Here I was blessed and didn’t even know it! Thanks for sharing! I thankful that you read and find my writings inspirational. Thank you for your kind comments!